Remember the giddy feeling when you got money as a kid for your birthday or a special occasion – and you had ants in your pants wanting to get to the mall and buy up all the things you’d been coveting? Yeah, that’s me right now with my Chase Ultimate Rewards points balance. The sign-up bonus from my Ink Business Preferred Credit Card recently posted to my account, and since then I’ve been itching to redeem the points. I’d waited a long time to fall under Chase’s 5/24 rule to be eligible to apply for the Ink Business Preferred. And my patience was tested yet again when my application for the Ink Preferred went pending for a while. It’s tempting to think of all the fancy trips I could take with my newly-boosted stash of Chase Ultimate Rewards points. But I know exactly how I’ll redeem them – and plan to get a value of nearly $2,400 on a Hawaiian family vacation. But shhh…don’t tell the kids. I’m planning to stay at the Hyatt Regency Maui using Chase Ultimate Rewards points transferred to Hyatt. The 80,000 Chase Ultimate Rewards Points From the Ink Business Preferred Is Our Ticket to a Pricey Hyatt Stay! I met the minimum spending requirement ($5,000 on purchases in the first 3 months of account opening) for the Ink Business Preferred ~2 months after receiving the card. The timing actually worked out well because I had some legal and accounting bills to take care of, plus some work travel and related expenses that made a big dent in the minimum spending. Your 80,000 Chase Ultimate Rewards points from the Ink Business Preferred sign-up bonus typically post as soon as the statement in which you met the minimum spending closes. So I knew when to expect the points. And early the morning of statement closing, I logged into my Chase account and – boom – there it was! I’ve already got a hefty points balance from the other Chase Ultimate Rewards points earning cards I have (Chase Sapphire Preferred Card, Ink Business Cash Credit Card, Chase Freedom) which I’ll use towards flights, so adding the bonus from the Ink Business Preferred will be enough to cover our hotel stays. They’ll be almost 10, 12.5, and 14 by the time we travel, so it will be a much different (and more interesting) trip this time around! I’m thinking we’ll bug out right at the end of the school year (late June 2019). 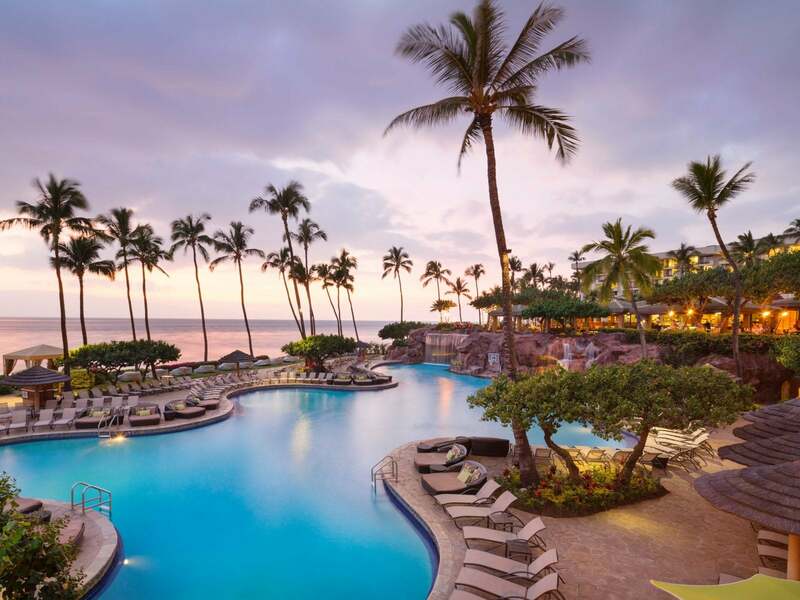 I’m going to book the Hyatt Regency Maui Resort and Spa for part of the trip, because it’s right on beautiful Ka’anapali beach, gets top reviews for being family friendly, and is reasonably priced on points. We’ll spend 4 nights here (Hyatt, I wish you’d add a 5th night free on award stays!). Award nights at the Hyatt Regency Maui cost 20,000 Hyatt points, so by transferring the 80,000 Chase Ultimate Rewards point bonus from the Ink Business Preferred to Hyatt, we’ll get 4 completely free nights at this gorgeous resort. And when I say free, I really mean free. Hyatt doesn’t charge resort fees on award stays, so the points cost is truly the price we’ll pay. But check out the value we’ll be getting for this redemption! 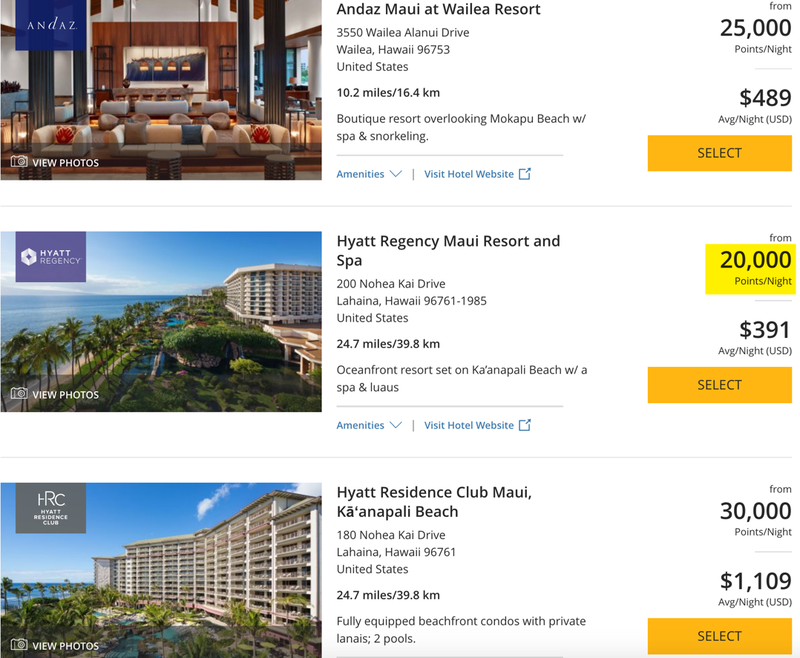 Around the time we’ll stay, a standard room at the Hyatt Regency Maui is going for nearly $600 per night including taxes. Over 4 nights, we’d spend 80,000 points for a value of ~$2,371, which works out to almost 3 cents per point. That’s a pretty sweet deal from a single card’s sign-up bonus! 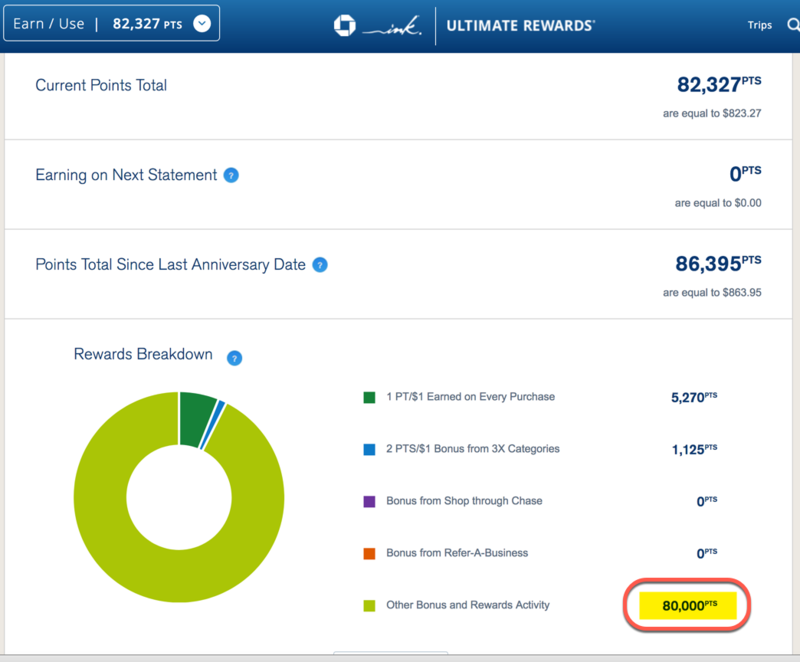 To compare, if you used 80,000 Chase Ultimate Rewards points from the Ink Business Preferred for cash back, you’d get $800. Or if you redeemed your 80,000 Chase Ultimate Rewards points through the Chase Ultimate Rewards travel portal, you’d get a $1,000 in travel (at 1.25 cents per point). 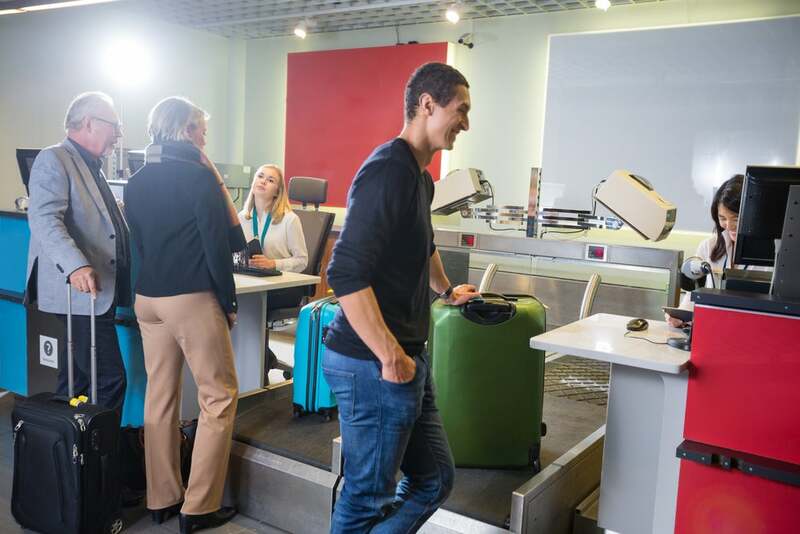 But, as we always say, it’s transferring Chase Ultimate Rewards points to airline and hotel partners that usually gives you the biggest bang for your points. And this case is a perfect example. I’ll get almost 3X more value from my points than if I redeemed for cash back, and over double the value compared to booking through the Chase travel portal. Sweet! Just got approved today after going under 5/24 this month. 80K + 20K for my wife via referral bonus. Congrats JoePro! Let us know where you end up going! I thought the business cards don’t count towards the 5/24 rule. Is that true? Did it change? Does not count “towards” it, which means she will still be eligible for another card after this. But it is subjected to the rule, so she couldn’t have gotten it until being under 5/24. Thanks for helping out JoePro, that’s exactly right! Looks like a terrific resort! Sounds like you have a party of at least 4 people. 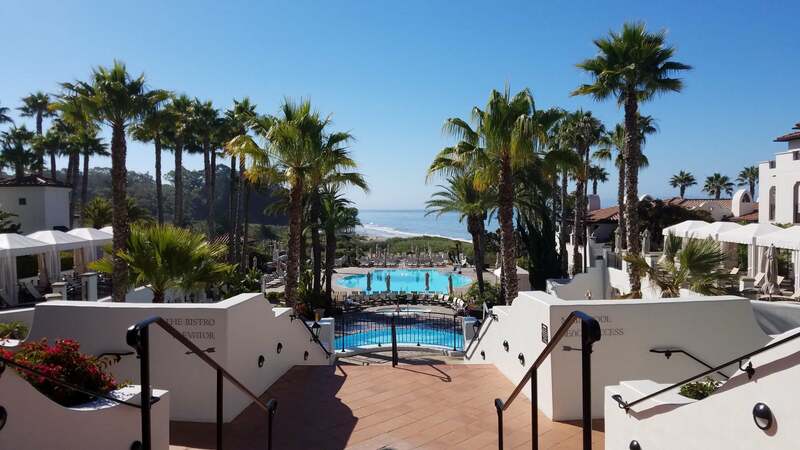 Does the Hyatt night rate via points (20,000) cover 4 people or do you have to pay extra? Thanks. Hi Ann – The 20K rate covers a room that sleeps 4 (5 with a rollaway bed). No extra charge – however if it were an all-inclusive we’d have to pay extra for more than 2 people.